A person with measles can spread the virus to others for about eight days, starting four days before the rash appears and ending when the rash has been present for four days. This rise in measles is being traced to people (both adults and children) who have not received the MMR (measles, mumps and rubella) vaccine. It used to be pretty standard that children aged 12 months receive their first vaccine and are then vaccinated again between the ages of four and six. Previous to the development and introduction of this vaccine in 1963, contracting measles was considered to be very serious often resulting in death. With this vaccine, the rate of incidence of this disease fell from the thousands to the hundreds with the measles being eliminated from the United States in 2000. But there is a new trend or movement today that is seeing parents refusing to vaccinate their children over fears of autism and other side effects. In 1998, fraudulent studies written by Dr. Andrew Wakefield were published in Lancet magazine (the medical journal has since retracted the article and studies). 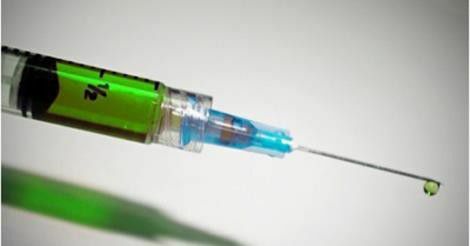 These studies cited evidence that showed a link between vaccines that were developed using a mercury-based compound and autism. It is believed that this article helped aid and spread much uncertainty over the safety and need for vaccines. This anti-vaccine movement relies on the “herd immunity”philosophy of protection from contagious diseases and illnesses. The understanding with this is that if enough other people around you and me are vaccinated for the measles and other highly contagious diseases, then by default you and I are protected from contracting these diseases. And now what we have is fewer people who are vaccinated for highly contagious diseases. With less people receiving the vaccine, herd immunity is no longer as effective – putting those who are at the highest risk in danger. There are many children and adults who due to health complications or other medication cannot receive the MMR vaccine, the flu vaccine and other vaccines. These are the people who “need”to rely on herd immunity, but the trickle-down effect of less able-bodied people receiving the vaccine is resulting in putting the most weak at high risk. So what does the measles have to do with business continuity and disaster recovery? Well, imagine you work at Disneyland.. Whether you’re working in a concession stand or are a high-level manager at the resort, measles is now very front-of-mind. As a concession worker, you may be reluctant to come into work for fear of contracting this illness – this has a trickle-down effect to other employees, putting the ability to operate rides and attractions for paying guests. As a high-level manager, you’re looking at this from both a public relations and human resources angle – oh and of course, a bottom-line angle. Right now when people think about the measles – they think of Disneyland. This is not good for anyone regardless of their role or position at the resort.